Everyone looks forward to creating a new look in their new house or apartment, to buying new furniture and to expressing themselves with their new colour schemes and style elements. But wait, how do I transport my aquarium(s) from A to B? What ’s important here? We have put together a checklist-like post that explains the process, so you won’t forget anything. This is how to make sure your move goes smoothly and your fish relocate unscathed. Good planning and preparation will help you avoid any mistakes that could cause stress for you or your animals. 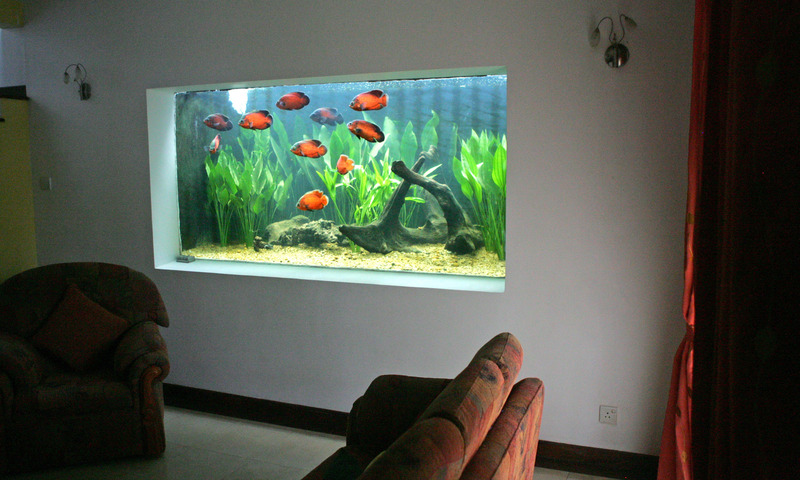 First choose a place for your aquarium in your new house/apartment which encompasses the following criteria: maintenance, somewhere you can see and enjoy it from, and sufficient working space for any other activities you may need to carry out. The new place needs to accommodate all of these points easily. Avoid busy passageways, direct sunlight or extreme heat arising from radiators or stoves. Many more tips on this topic can also be found here: Standplaats aquarium . The next time you are there, check the new tap water values which are decisive for your future water changes. If you notice serious deviations from the old initial values, you can carry out the planning for your water treatment or a gradual acclimatisation of your fish in advance. Here you can find out which parameters are important: Waterwaarden . But there’s still some work to be done in your old home too. Your fish need go into the move in a strong condition. 2-3 weeks before the move feed them at least 2 twice a day, to strengthen their immunity. But don't overdo the amount, it’s better to have a varied diet, which can includes some additional treats (more about this here: PlanktonPur ). With JBL Acclimol , you’re adding vitamins and nutrients that give your fish vitality. By the way, this product is also recommended for transporting your fish. See below for more information. But the move itself and the packaging of all its components require a lot of material. Ultimately, no one can answer this question. From my own experience I would say that it is better to move the aquarium first before the actual move starts. On the one hand you’ll have more patience and strength than afterwards and on the other hand you’ll be more relaxed because you have ticked off an important point on your checklist right at the start. Besides, there’ll be fewer obstacles in the way. But it’s also doable at the very end of your move. Just don’t do it along with the bulk of the move if it is not absolutely necessary. At the end of the day it’ll take longer than expected. Does the aquarium have to be emptied completely? No, this is not necessary and it is advisable to avoid this. On the day of the move, only at least 60% of the old water is taken along. Catch the fish when the water level is lowered. Drain the rest of the water completely (as far as possible). 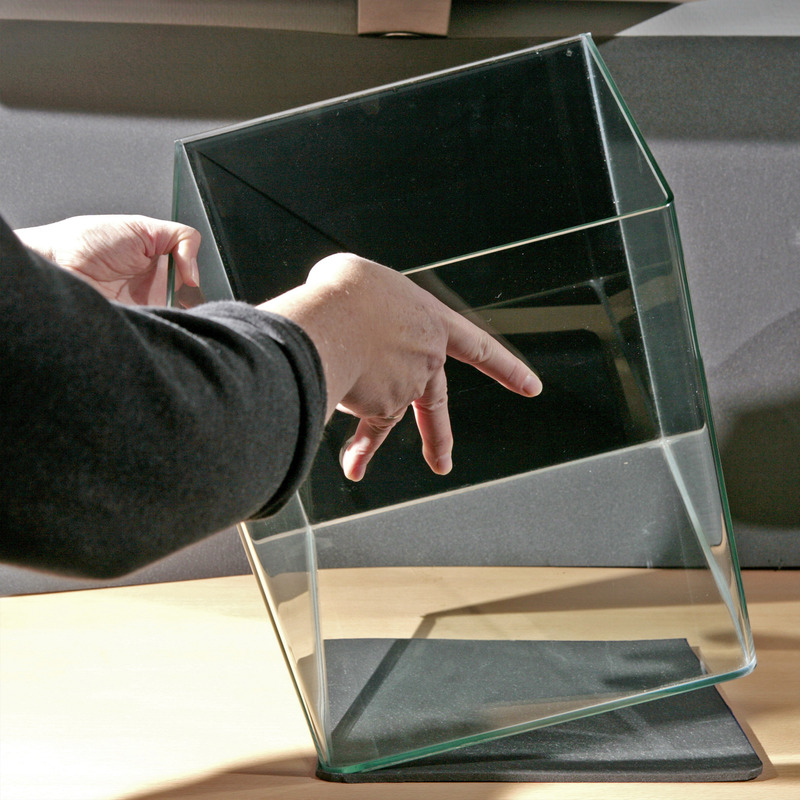 Fix decorative elements or remove and transport them in a box. Cover the rest with bubble wrap or kitchen paper. Spray the plants with water if it’s a longer job. Finally, the aquarium needs to be covered with cling film and is ready for transport. In this way, the biology in the soil and the structure remain intact and the rooted plants aren’t disturbed. It’s only advisable to completely empty the aquarium if you have a new one waiting in the new home and there is only the old aquarium equipment to be reinstalled. However in such a case make sure that the aquarium has already been run in for at least 2 weeks, since no more bacteria are contained in the substrate. 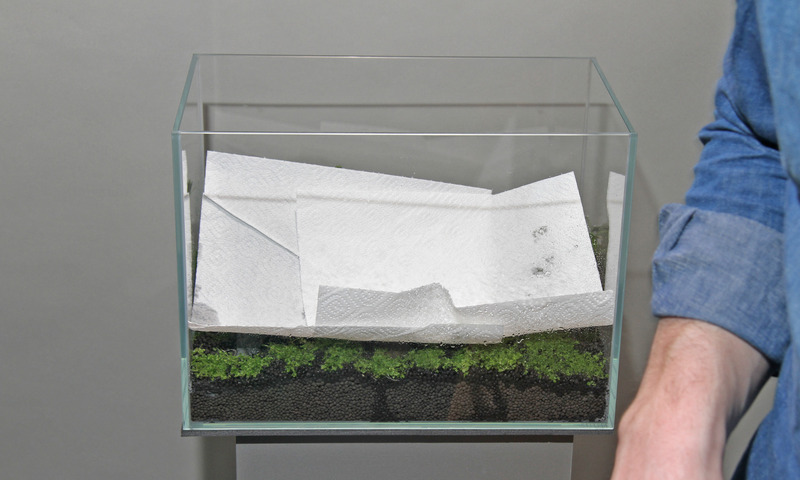 A seamless change to a new aquarium with new substrate without a running-in period will mean certain death for your fish (more about this here: Tip: How to replace internal & external filters properly. ). It’s vital to run your new aquarium in. If this isn’t possible because, for example, the glass of the old aquarium was damaged during transport and you have to change it, you will find valuable tips at the end of this article that will help you keep the transition running smoothly. Each time you reach into the aquarium, the water will become cloudier. So think carefully about the order of the steps you take. In order not to put the entire floor under water and also to take along as "clean" water as possible with you for the refilling, start by filling of the water. Step 1: Fill at least 60% of the old water (preferably without dirt) in barrels or canisters with lids. You’ll need it for the aquarium at its new location. Fill the vessels as full as possible, but leave a small layer of air. Step 2: Now deinstall all your technical items and make room in the aquarium. You only need the lighting now and that only for a moment or two. Lightly clean all the parts and pack them. This will save time during installation at the new location. Since filter bacteria begin to die off after 30 minutes, you need to completely drain off the stagnant water, roughly squeeze the sponges in old aquarium water and place them moist again in the filter. An internal filter can be packed tightly with air in a bag. An external filter is simply closed again. The bacteria survive best in a humid medium with a lot of air. Step 3: Actually, we do not want to describe this step, because it can usually be avoided. If possible, skip it, as mentioned above. Only if you really need to should you read on about removing decoration and plants here. Otherwise continue with step 4. As a rule, all decorative elements can be securely fixed with bubble wrap. The plants are covered with damp kitchen paper and the aquarium later with cling film. This ensures sufficient humidity remains present. For aquariums with an edge length of 120 cm onwards we recommend you use a board as a base for transport. However, this can also serve as protection for shorter aquariums and facilitate transport. If you do this even heavy contents won’t be a problem. Furniture dollies make it easier to cover longer distances. To carry out step 3: Carefully remove all your decorative elements and stow them safely in crates or boxes. Now pull the plants out of the soil and reprune the roots. Plants can be packed in garbage bags without adding water. This ensures that sufficient moisture remains. 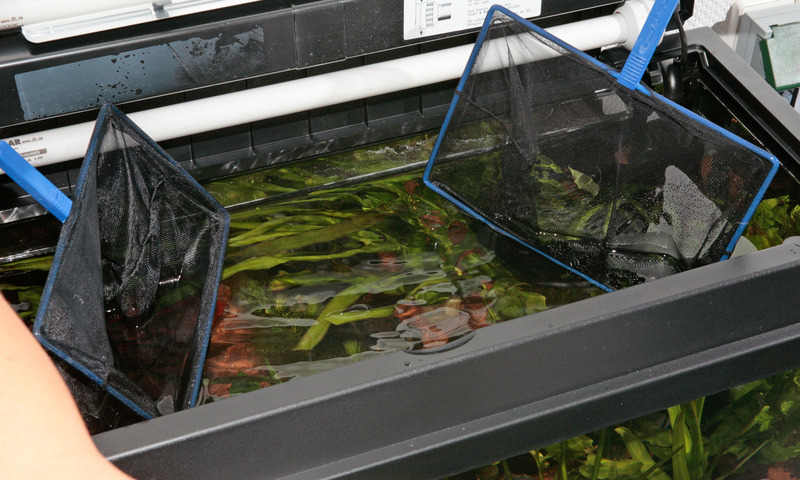 The substrate needs to be completely removed and filled into buckets. Before re-inserting it thoroughly wash the substrate. All existing bacteria will die off during transport and unnecessarily pollute the water. The nutrient soil needs to be renewed. Step 4: Catch the fish in the last preparatory step. Under no circumstances can they remain in the aquarium during transport. You’ll need some patience and skill to catch them. Using two nets to catch them ( JBL vangnet grof ) has proven being a good method. Select a large net as a “catcher” and use a small net and gentle movements to drive the fish into the large net. Pack the fish generously in buckets (with a lid) or fish transport bags. Be careful to separate the species and not to pack too many fish together. For transport you can add some JBL Acclimol . It has a calming effect and protects the mucous membranes. Always keep the rule 1/3 water to 2/3 air in mind and pack your animals accordingly. The fish should not have been fed for at least 12 hours before catching. We advise against the addition of oxygen tablets (more about this here: Oxygen supply for your fish in exceptional situations ). 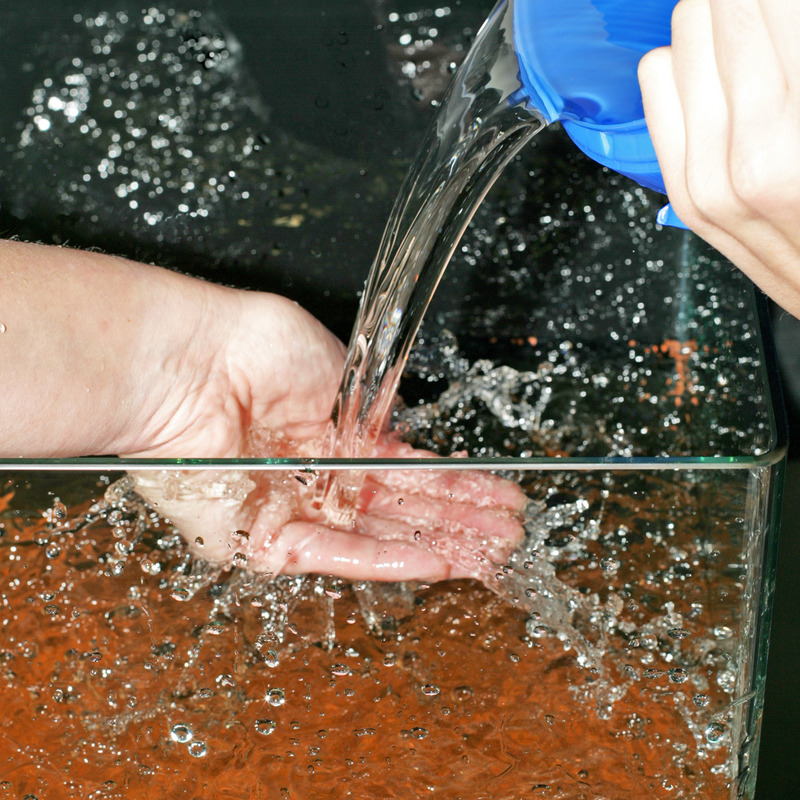 If it takes more than 2 hours to transport the fish, take some aquarium water for a water change with you and change 50% of the water in the containers on the way. Step 5: In the last step the remaining water is sucked off completely. 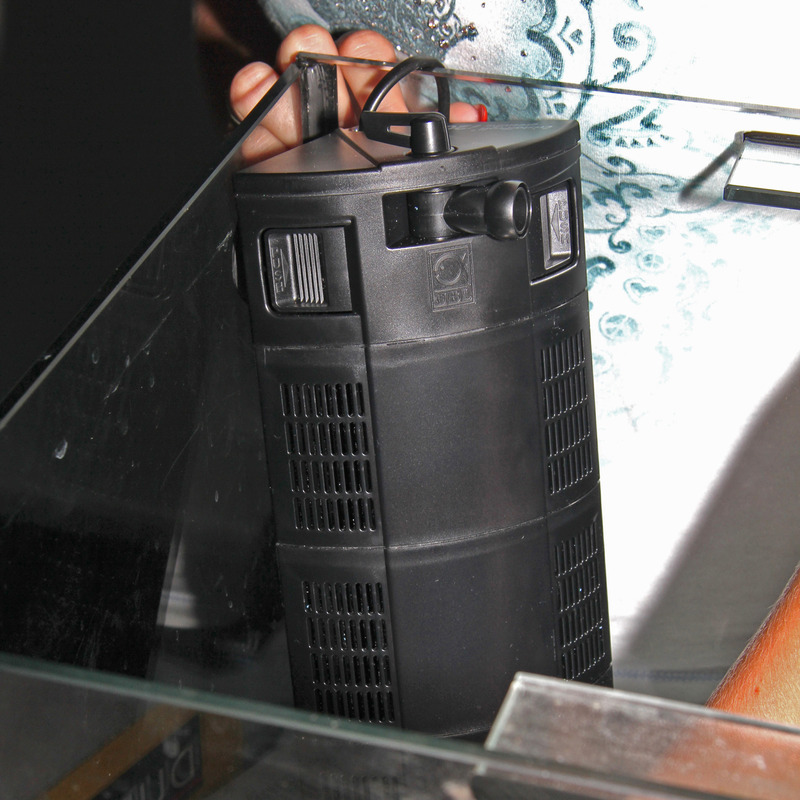 The last remains can be siphoned off the substrate with an air hose 4/6 mm ( JBL Siliconenslang 4/6 mm ). 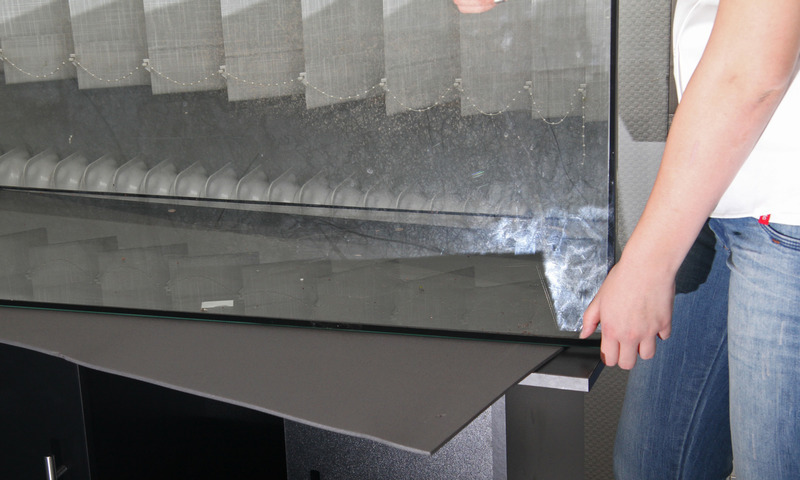 If you lift the aquarium slightly at one corner, this will make the process easier. 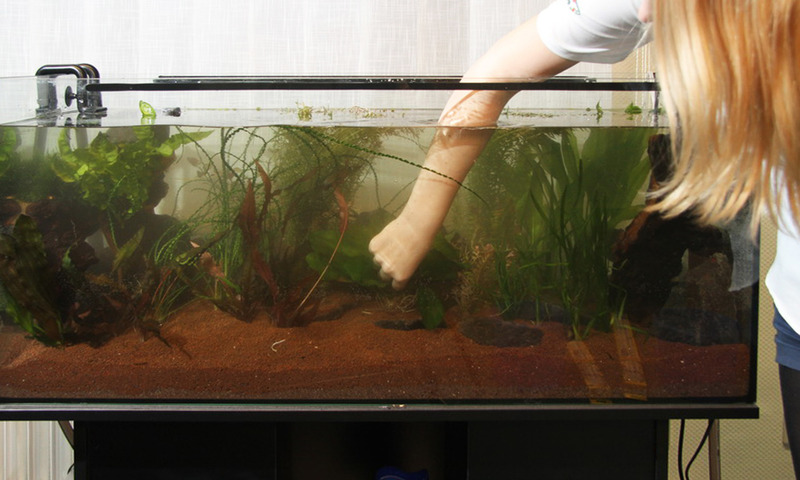 If you have decided to completely remove the decoration, plants and substrate, you can now scoop the substrate out of the aquarium with a hand shovel. Afterwards clean all the panes thoroughly and pack the aquarium for transporting. Once all your preparations have been completed, you need to carry out the actual transporting quickly. If possible, make sure that the process is gentle and does not involve large temperature fluctuations, noise or vibrations. Sufficient cushioning material and good packaging ensure good success. Once you have arrived at your new home, immediately start setting up and connecting the aquarium. You should already have chosen the new place for your aquarium in advance. Set up the aquarium cabinet here. Check the alignment with a spirit level and correct it if necessary. Now you can place the aquarium on a non-slip mat ( JBL AquaPad ). If the decoration and the plants have just been safely packed inside the aquarium, you only need to remove the packaging material. If this is not the case, add the substrate, the plants and the decoration again. 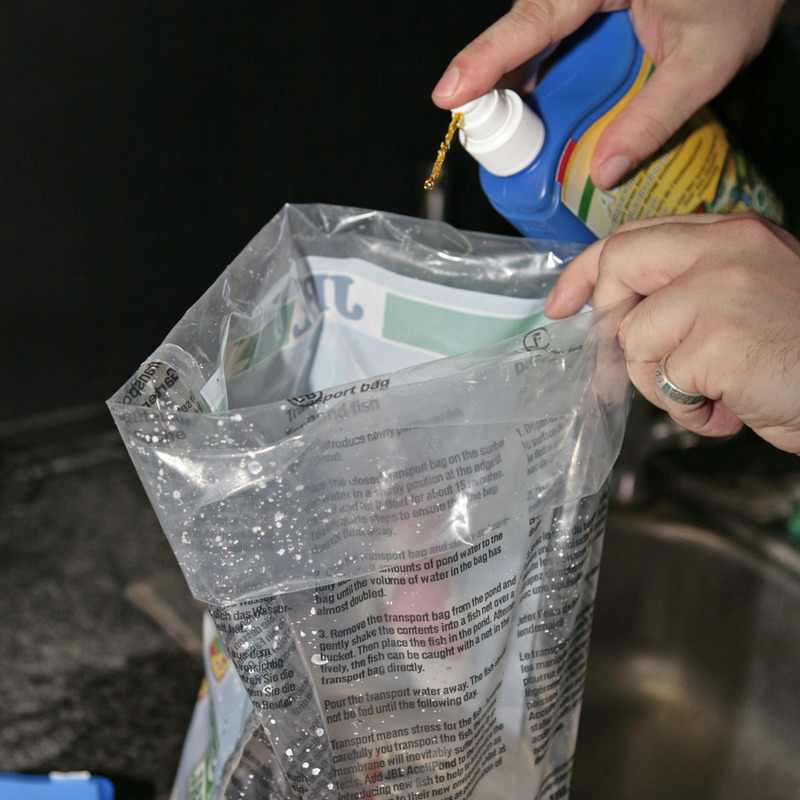 Carefully add the 60% of the old collected water and fill up the aquarium with fresh tap water. 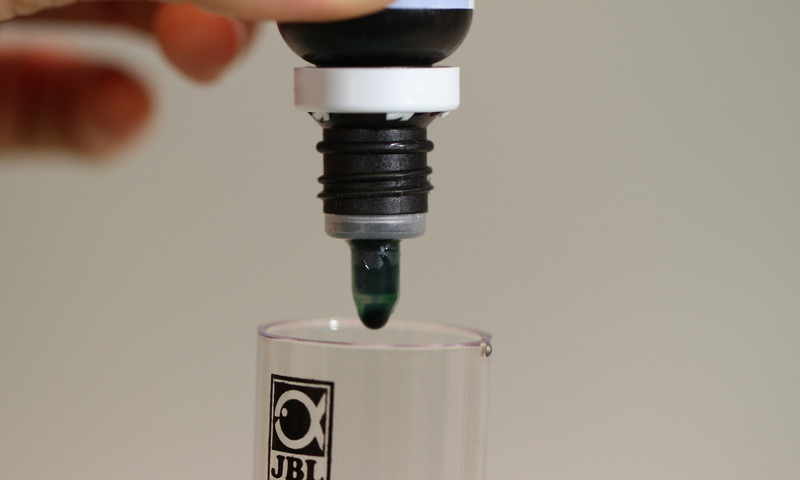 Do not forget to use a water conditioner ( JBL Biotopol ). Carefully add your animals into the completely filled aquarium. You will find the relevant instructions here: Inzetten . At the same time install the filter and all other technology and put them into operation. 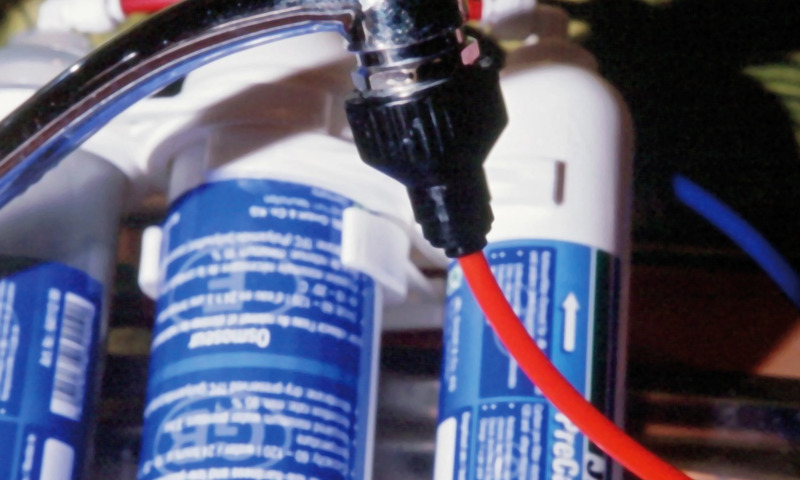 To avoid problems from the start it’s best to inoculate your filter with bacteria such as the JBL FilterStart . 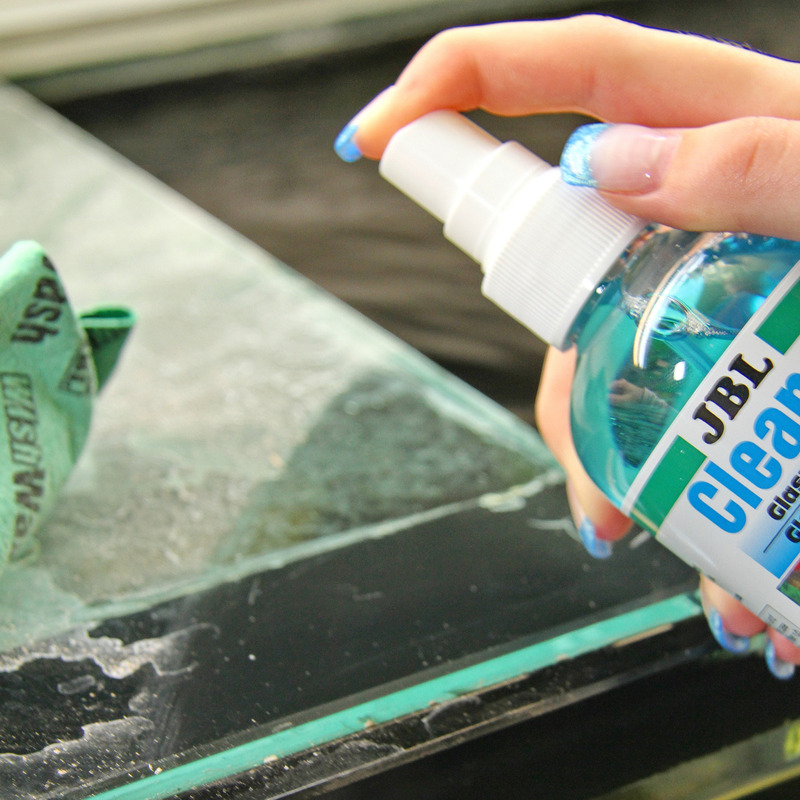 Alternatively use JBL ProClean Bac (alternatively JBL Denitrol ) as an addition directly into the aquarium. To protect your fish you can add every 3rd day JBL Acclimol (start with immediately). Actually the move is not over yet. The critical phase is just beginning. During the first few days, check the water values nitrite (NO2) and ammonium (NH4) daily with a water test ( JBL ProAquaTest NO2 Nitriet & JBL ProAquaTest NH4 Ammonium ). Feed your animals only very sparingly starting on their 3rd day in their new home. 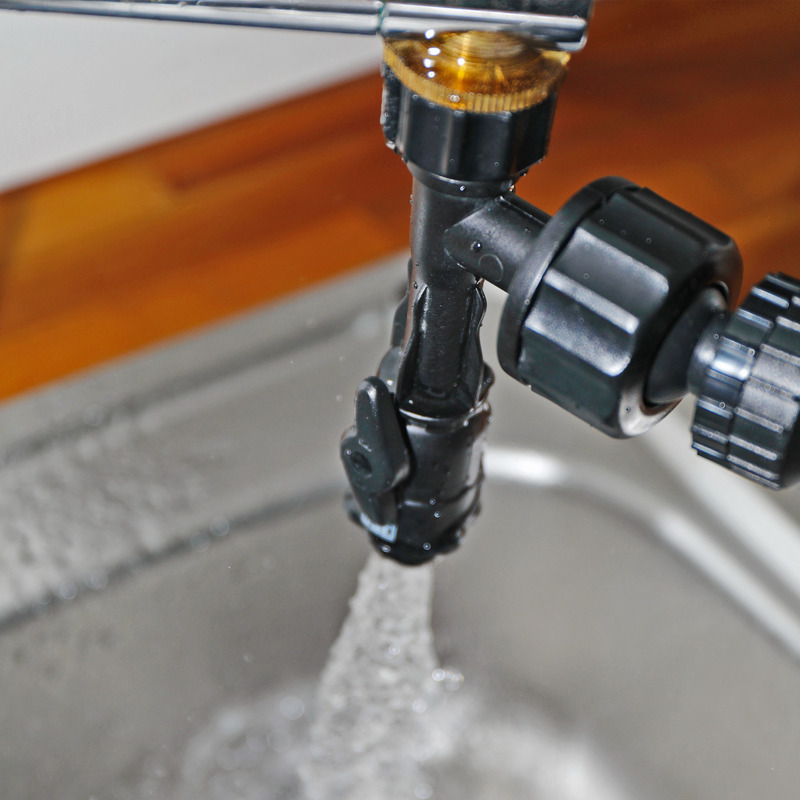 During the first 2 weeks change the water more frequently. We recommend 50% every 3-4 days. Take some time every day to observe your animals. This will allow you to see quickly whether some animals become ill due to stress, have suffered injuries during transport or if the technology is not working properly. Once the first 14 days are over, maintain your aquarium as usual. Now it’s really done - congratulations.